The point is that handling personal finances is not intuitive. It’s a skill that we learn. 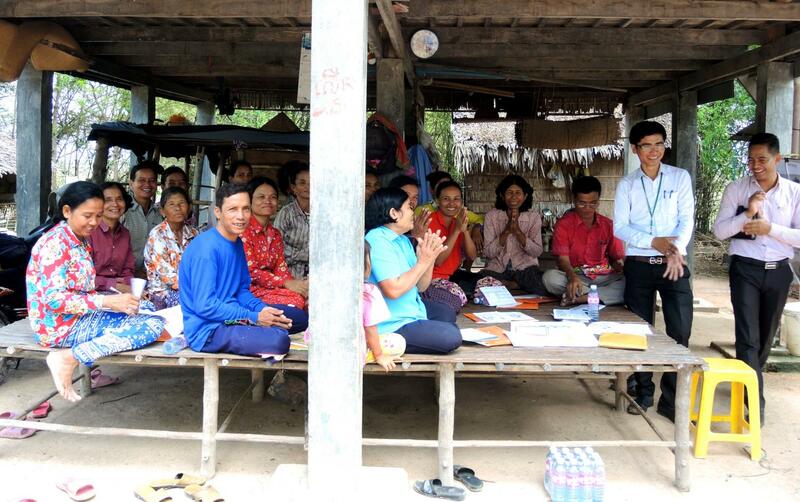 In rural Cambodia, the stakes couldn't be higher when it comes to managing your money. Approximately 20% of the Cambodian population lives on or below the national poverty line ($1.25US per day) and 90% of these people reside in rural areas (source World Bank 2014). Unfortunately, lack of access to education, health care and amenities often define the experience of rural poverty in Cambodia. Saving money for a rainy day is a luxury that most people just can’t afford. In 2008, KREDIT Microfinance and its international partners decided to do something about the situation. When they spoke to the people, it was clear what they wanted. 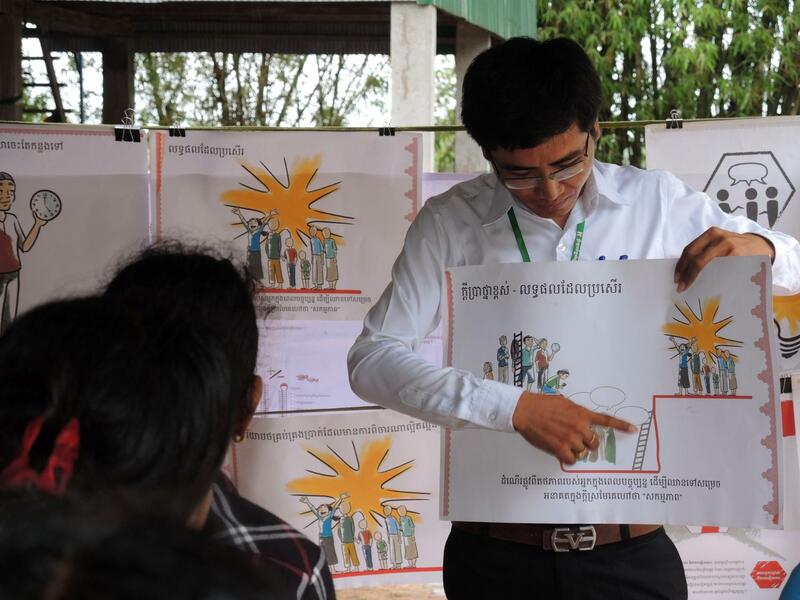 Rural Cambodians did not just need access to money and financial services. They needed the tools and knowledge to leverage money effectively. Enter, the Vulnerable Service Unit (VSU), a microloan with education attached. 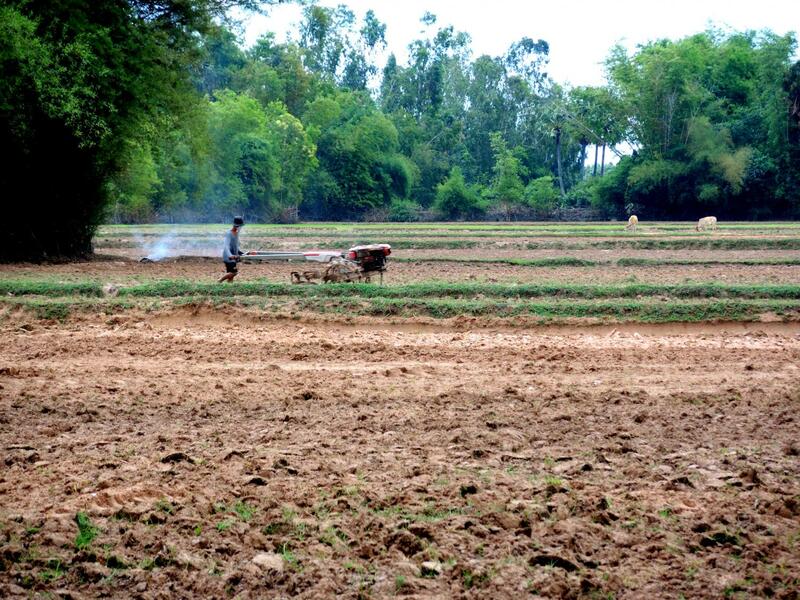 The conditions of the VSU loan itself speak to the harsh realities of life in rural Cambodia. Collateral is not a requirement (because the people have very little in the way of valuable possessions), the loan is cancelled if a client dies (because the mortality rate in rural Cambodia is high) and borrowers are grouped into Community Banks of 30 or 40 people (because social cohesion is paramount in the villages where they live). The VSU loan is extra special because on top of these conditions, borrowers can also participate in financial literacy sessions, agricultural workshops and child protection training. On a humid Tuesday morning in July, I visited KREDIT’s Branch in Kampong Trabek near the Vietnamese border. From there I journeyed to many far-flung villages in the area, eager to see the VSU in action. “We want to encourage behavioral change,” says Yuthsophorn An, KREDIT’s Social Performance & Community Development Unit Manager and my translator for the day, “our VSU programs are all about empowering people. We ask them what they want to learn rather than tell them what they should learn”. Later that day I meet a shining example of the success of the VSU program. As we approach a traditional wooden house propped up on stilts, it is clear that we are about to interrupt a meeting. A short, animated woman is standing in front of a large gathering of people, talking in rapid Khmer and creating ripples of laughter as she speaks. This is Sarin, the leader of the Rusey Prey Village Community Bank. As leader, she is responsible for collecting monthly repayments from eight different borrower groups. It’s a big responsiblity but she laughs when I ask her what she likes about leadership, “the 4% commission is pretty good!”. Sarin has been a VSU borrower for two years. She’s obviously an astute businesswoman and farmer, equipped with a wry sense of humour and a quick wit. 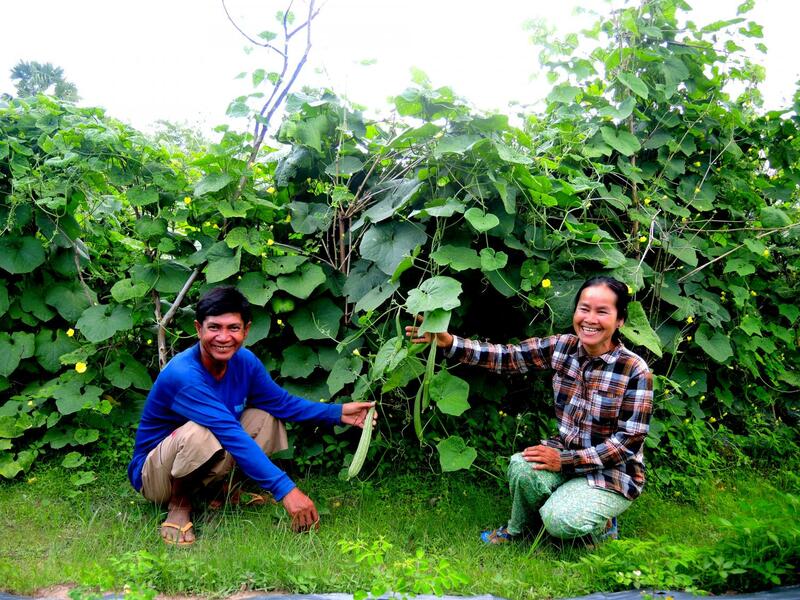 With an enviable vegetable patch, free-range chickens and several fertile rice paddy fields, Sarin attributes her success to hard-work, good investments and the Vulnerable Service Unit. Sarin used her VSU loans from KREDIT to purchase seeds and fertilizers. After participating in financial literacy training, she decided to keep track of her income and re-invest small amounts of money into her business each month. “Before I learnt about managing money, it seemed to just disappear. Now when the cash flows in, I save it”. As the members of her Community Bank start to disperse, Sarin stands up and carefully stashes the notebook she was using to record their repayments in her pocket, “I started off with a few chickens but it’s a seasonal business in Cambodia so I decided to grow cucumbers, broad beans and rice too.” Sarin participated in a two-day poultry workshop during her loan term. “They used to get sick a lot”, she advises as she guides us through her impressive, 20m² aviary, “but during the training I learned how to house my chickens properly and protect them from disease and predators”. She now has more than 100 birds. 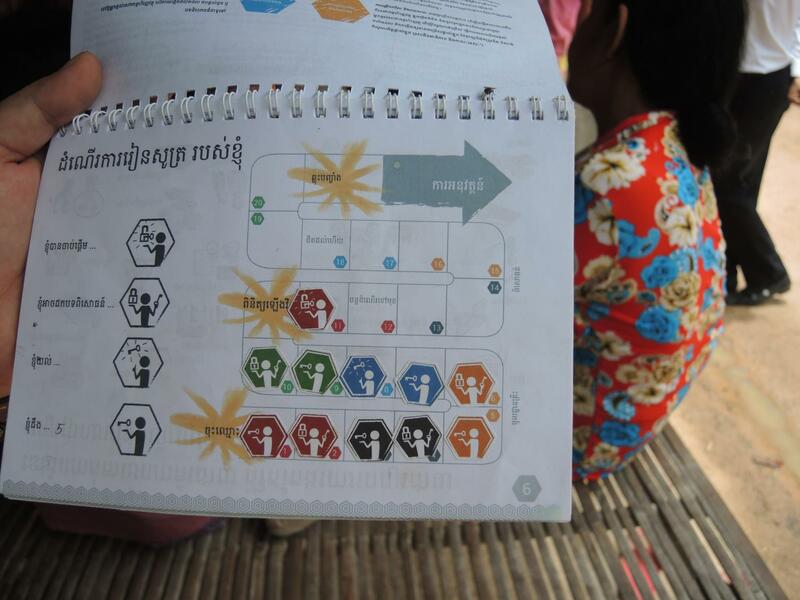 The Vulnerable Service Unit is making an incredible impact to the lives of some of the poorest people in Cambodia. The chance to help VSU borrowers like Sarin will soon be an option for Kiva lenders! KREDIT Microfinance has been awarded a new loan theme and an extended credit limit to fund the VSU program. 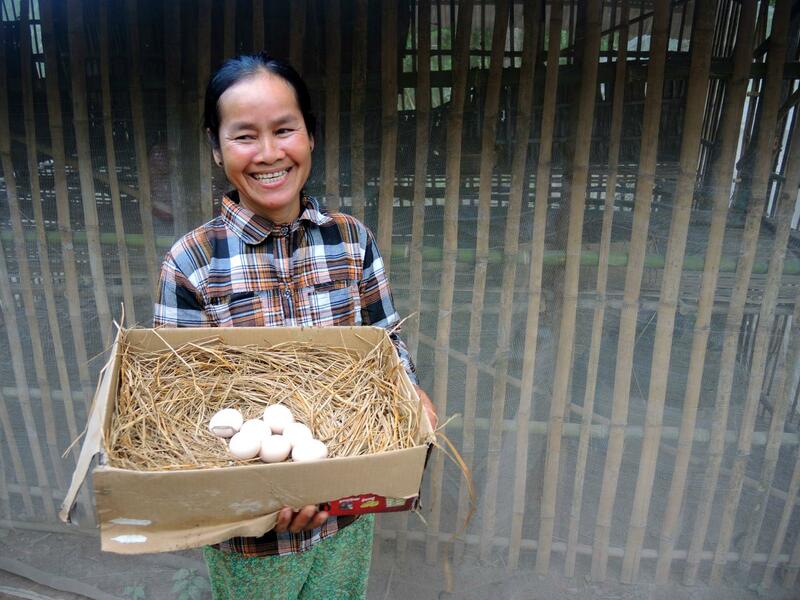 With Kiva’s help, KREDIT can continue to open the doors of opportunity to rural Cambodians. Before we leave, Sarin is eager to show us her crops. As I wander through the rows of bean trees that tower above my head, I can see Sarin. She is walking a little further ahead. Every now and again she bends down to pluck an unsuspecting insect from a leaf or plunges her hand into the soil and rubs it between her thumb and forefinger. She glances up at us, “I think I will use my next loan to hire some people to harvest my rice for me.” She grins mischeviously and mutters something else. My translator laughs before he tells me what she said. “Sarin says she deserves a rest!”. Looking around at her accomplishments, I couldn’t help but agree with her. 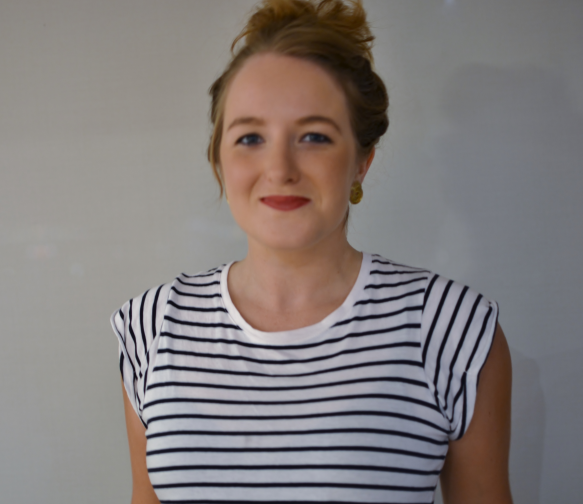 Originally from the beachside city of Newcastle, Australia, Kate was lucky enough to travel with her family at a young age. This exposure to the world and different ways of living gave Kate a taste for exploration and instilled within her an ambition to help others who had not won the “lottery of birth”. At 18 she moved to Melbourne to study a Bachelor of International Relations at La Trobe University. Learning about development methods that empowered women and the burgeoning ‘grass-roots’ movement inspired Kate to embark on a year-long journey through Eastern Africa and India. She spent three months volunteering for an organisation that operated an adult education centre in Moshi, Tanzania. As well as teaching computer studies, Kate also met past students who had established small businesses after graduating. It was in Tanzania that she witnessed first-hand the opportunities that came from education and financial inclusion. Back in Australia, Kate worked in local government where she developed her skills in project coordination and administration. She continued to travel and volunteer internationally, developing a deep connection to South-East Asia. 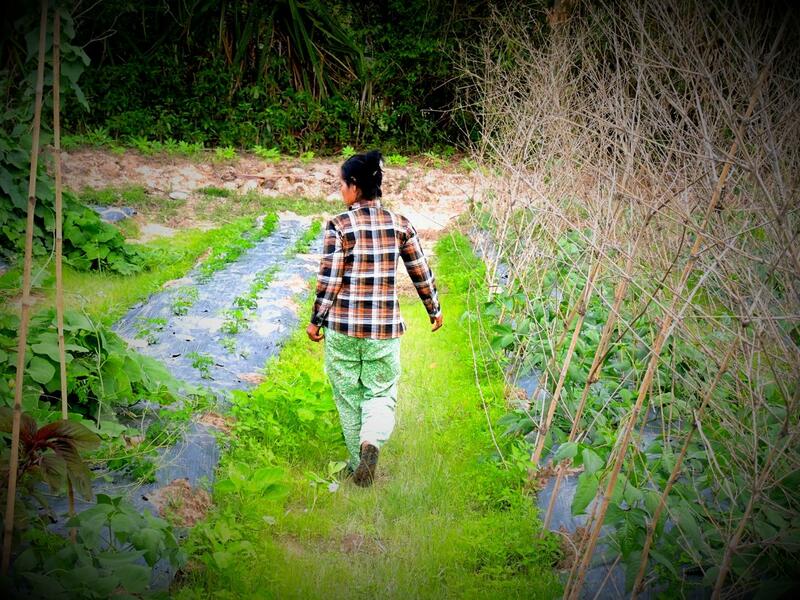 Kate first heard of Kiva after reading ‘Half the Sky: Turning Oppression into Opportunity’. Kate is looking forward to returning to South East Asia as a Kiva Fellow and eagerly anticipates being part of Kiva’s work in Cambodia and Indonesia.